Karl Dettwyler said that being able to eat the fruit his farm has grown is the biggest reward. 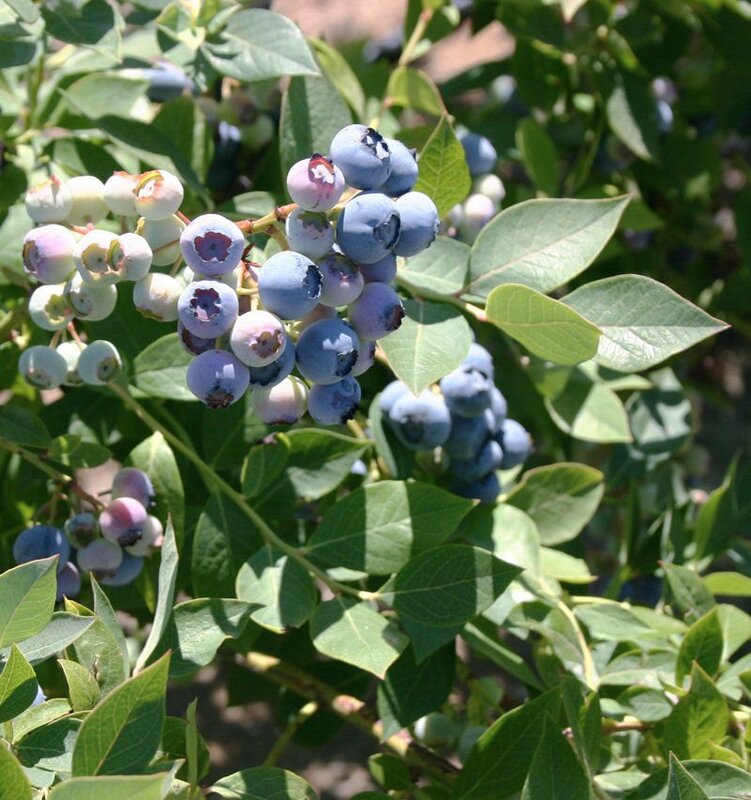 Blue Line Farms grows four varieties of blueberries. Manager Karl Dettwyler said that everyone has a different preference for how they like their blueberries and he tries to account for that. Silverton, Ore. — Karl Dettwyler puts his farm first. The manager of Blue Line Farms, member of the Oregon Blueberry Commission and father of two daughters, Dettwyler admits that he doesn’t know how he’s been able to balance his responsibilities. “I think you have to have (attention deficit disorder) in order to handle it. It’s like putting fires out, you leave one smoldering until you have time to put it out,” he said. Dettwyler has been on the blueberry commission for 2 1/2 years, and finds the organization valuable. The commission was established in 1986 and consists of nine members. The terms are three years with a limit of two consecutive terms. There are 353 growers, and this year the commission is estimating a harvest of 118 million pounds of blueberries. Blue Line Farms hand-picks around 6,000 pounds of blueberries a year. The farm employs five people full-time, including himself, his brother and his cousin. His uncle and father also work part-time. Dettwyler enjoys getting to know people through the commission and helping address problems that other growers are having. Beyond blueberries, Blue Line Farms also grows turf type grasses such as perennial rye grass and tall fescue, green beans and hazelnuts. However, 7.5 percent of the farm is blueberries. The varieties he grows include Elliot, Liberty, Legacy and Aurora. Legacy is his favorite. “There’s challenges, but seeing the different challenges and rewards, and being able to eat the fruit when it’s blue. There’s one variety out there that’s so sweet and I love it,” he said about the Legacy variety. Although the blueberry industry has been booming in recent years because of recent health studies revealing the benefits of eating blueberries, Dettwyler has noticed the market leveling off. His innovative examples included a roadside blueberry stand or talking to a different packer or to the commission about new ways to promote blueberries. Dettwyler encourages farmers to get involved and share their story. “There’s a rural versus city divide,” he said.